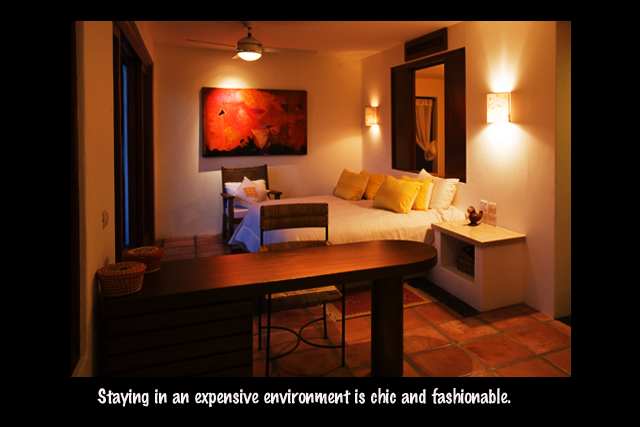 Staying in an expensive environment is chic and fashionable. Luxury is a reward for those who engaged most of their lives in productivity and a privilege to those who are born with it. Whichever category you belong, relaxation is a must. So, have a lavish treat, the Mexican feast, colorful, and rich. Over 2,400 meters above sea level and the most densely populated urban area with twenty million people, Mexico City. It is one of the largest metropolitan cities in the world. This captivating capital charms its tourists and visitors with opportunities to relax and enjoy despite the many people it already has. 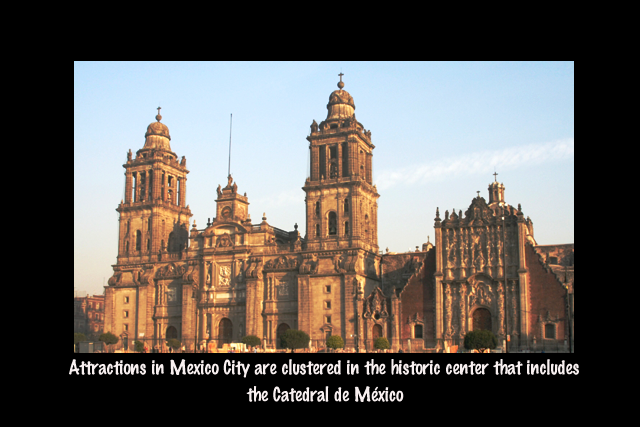 Attractions in Mexico City are clustered in the historic center that includes the National Palace, the Plaza de la Constitucion or Zocalo, Metropolitan Cathedral, Palace of Fine Arts and Alameda Park, and the Templo Mayor. The Plaza Garibaldi just a few blocks north of the Palace of Fine Arts is one of the best places in Mexico City to listen to live mariachi music. Las Pergolas, a newly constructed villa is situated in an eco-friendly surrounding with forest trees, jungle mountainside, and wildlife. This luxurious villa takes pride in its extensive bedrooms and immaculate views of the Bay of Banderas from a lofty veranda. Architecturally designed and professionally decorated, Las Pergolas has bedrooms that offer the comfort and privacy that rich people prefer. The views from its large spacious terraces add to the amenities of the villa. The Madera 1, located within the natural jungle ambience of Bahia Principe is another residential place. The construction of Madera 1 luxury residences started in March of 2011. Residences range in size from 648 Sq Feet up to 1975 square feet and a variety of floor plans and layouts are offered from the studio type residences to the three bedroom penthouses. Madera 1 offers a variety of spacious and comfortable residences with all the modern amenities. It is a personal vacation home with an individual underground parking area for its guests. Grocery delivery is one of the services offered by Madera 1. There is freedom to enjoy the views from the terrace along with great cold beverages to sooth the spirit. Vacation dreams are now coming true. Plaza de la Republica, a historic as well as a recreational sight in Mexico City is home to the newly restored Revolution Monument, the National Museum, and the Chapultepec Park which is Mexico’s largest recreational area. The park contains the Chapultepec Castle, National Museum of Anthropology and the Modern Art Museum. Acapulco, the original resort town in Mexico became popular in the 1950s as an escapade for Hollywood celebrities. Today, Acapulco still remains as famous tourist destination more so among Mexicans and as a spring break getaway among US students. Watching the cliff divers do their fantastic jumps into the ocean is a wonderful sight for tourists and visitors. These divers have become professionals through the years. Guanajuato, a colonial city that settles in the mountains of the Sierra de Guanajuato was founded in 1554. This city is one of the richest silver mining places of Mexico. The mining boom in the 16th century led to the development of charming haciendas and majestic colonial buildings. The alleyways are colorful and the streets that are spreading in different directions provide enough spaces for pedestrian to walk and cross. There are underground tunnels thereby easing up the traffic on the streets. 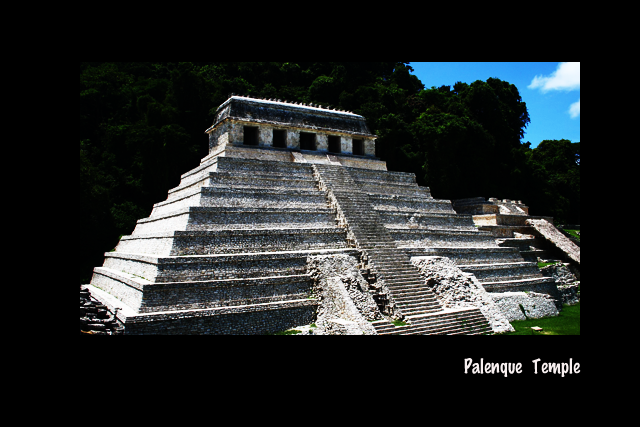 Palenque is much smaller than some of the neighboring cities yet it is popular because it being an archaeological site. It contains some of the finest Mayan sculptures and architecture like the Temple of Inscriptions, the only Mesoamerican pyramid. This city is located on the western edge of the state of Chiapas, Mexico. GlobalJet International offer heavy, medium and light Corporate Jets for charter to your chosen destination. I have never been to Mexico but hubby did. He said that there are parts that are beautiful and some that aren't. For some reason, I always think Mexico City as New Mexico. I am pretty bad with geography. Anyway, the Palenque Temple is one place to visit for geography buffs out there. I guess frequent travelers include Mexico as one favorite destination because of its historic culture and explore its wonders especially the ancient pyramid..
Palenque Temple, oh, that mystical temple that I really like to see. I'd really like to see the Palenque Temple! I've read about that a lot before. Mexico is one of the places I want to visit someday. Sana matupad ang dream ko of touring around the world.. I have never been to Mexico. It would have been wonderful if I'd be given a chance to see this beautiful country. I love all the beautiful attractions in that country. Thanks for sharing, Mhie. Hugs!